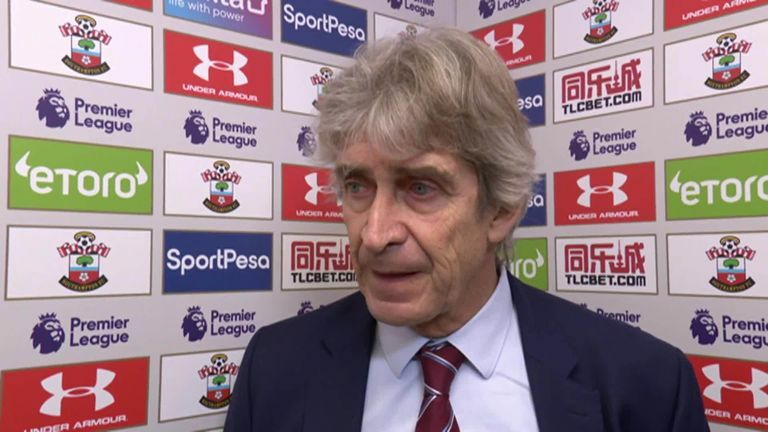 Manuel Pellegrini called for further improvement from Felipe Anderson despite the summer signing's double earning West Ham a 2-1 win at Southampton. 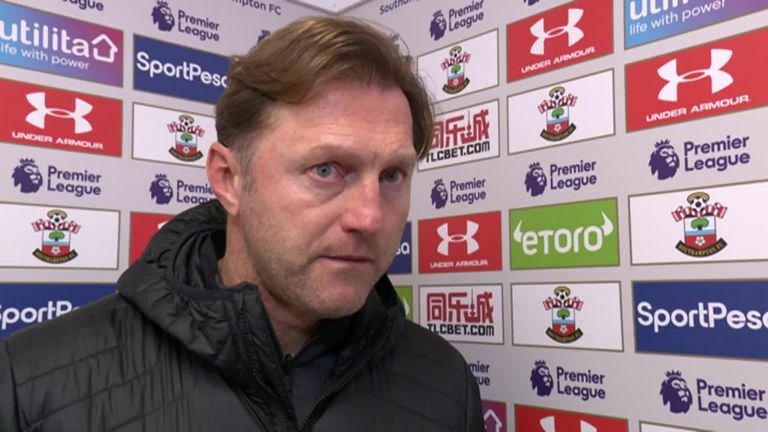 Nathan Redmond's scrappy goal gave Southampton the lead at St Mary's on Thursday, but Anderson, who had been quiet for much of the contest on the south coast, burst into life with a quick-fire double to turn the match on its head. 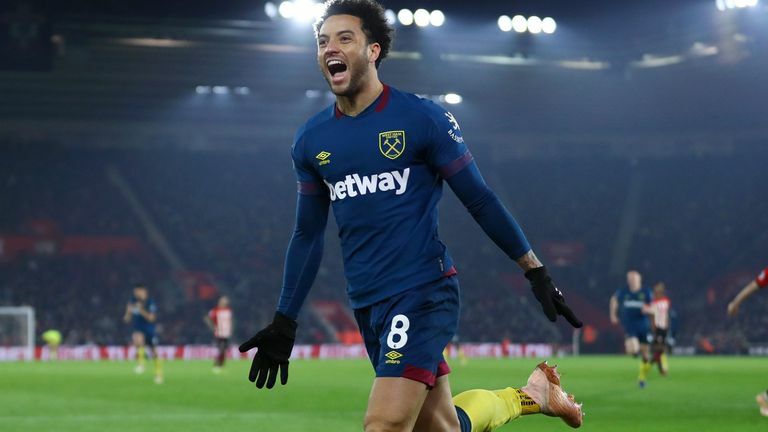 Despite Anderson scoring his seventh and eighth West Ham goals in the league this season, Pellegrini feels there is still improvement to be made in Anderson's game. "He is a player that in every game does important things" Pellegrini said. "He will continue to improve, he still loses too many balls. "In every game he makes important plays and that is the best thing he has about him." The result helped West Ham climb to ninth in the league table, having won five of their last six games - something Pellegrini is pleased with especially after his side's poor start to the season. "We played a very good game," Pellegrini said. "From the first minute we tried to win the game. We were very balanced the whole game. We defended very well, and played most of the game in their half. "I am very happy. When you start with zero points from 12 [available at start of the season]. It is very difficult to recover the position in the table. "We will continue to fight and improve and keep a winning mentality and finish as close to the top of the table as we can."